Commercial crab fishermen use baited wire traps to lure their prey. Sometimes traps end up missing due to storms, or they are simply discarded. These traps continue “ghost fishing” for months or years—capturing fish and other marine creatures, including endangered species, thus taking an environmental and economic toll on gulf fisheries. In February of 2002, Texas Parks and Wildlife conducted the first abandoned crab trap removal program. During a 10-day period in February volunteers like you, join Texas Parks and Wildlife staff and partners, in removing derelict traps. 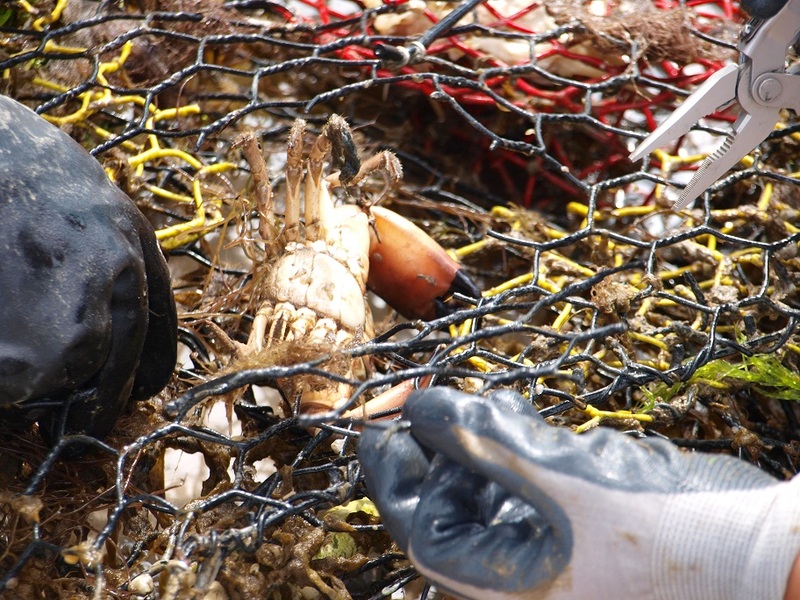 More than 32,000 crab traps have been removed from the gulf since 2002, saving tens of thousands of marine organisms. This year’s cleanup is February 16th through the 25th. The big cleanup “push” is Saturday, February 17 from 10 to noon. The cleanup is the only time citizens may remove these traps from gulf waters. This entry was posted on Monday, February 5th, 2018 at 12:00 am	and is filed under Crab Trap Cleanup, Events, Fishing, Saltwater, Wildlife and Sport Fish Restoration Program. You can follow any responses to this entry through the RSS 2.0 feed. You can skip to the end and leave a response. Pinging is currently not allowed.